To learn well is to be taught well by minds that understand the depths of a topic and are capable of creating an environment of intrigue for the keen learner. 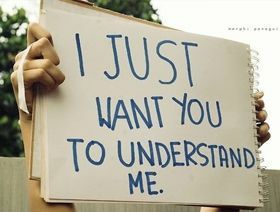 Don't expect people to always understand you. Instead, learn to understand them. 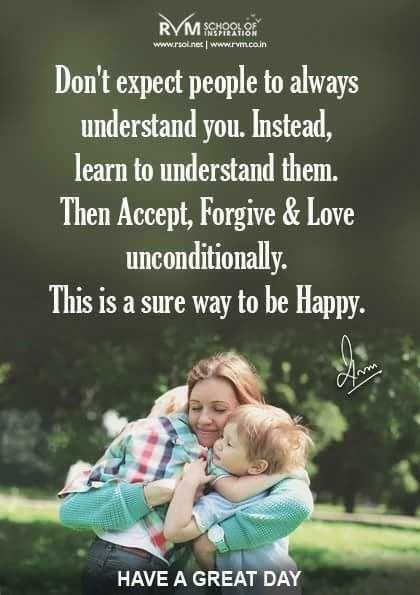 Then Accept, Forgive & Love unconditionally. This is a sure way to be Happy. People have patterns of behavior, and they have patterns by which they organize their experience to create those behaviors. Only through understanding those mental patterns can you expect to get your message across, whether it's trying to get someone to buy a car or understand that you really love him/her. Even though the situations may vary, there is a consistent structure to how people understand things and organize their thinking. Learn the rules of the game and play to conquer without fear . Communication succeeds when you make others understand you clearly, and they make you understand them clearly. Understanding is a process of comprehension and is actually termed as the limit to conceptualization. To understand something means to have conceptualised it up to a given measure. Understanding anything requires focus, concentration and attention. The process of understanding is also called intellection and is a psychological process.